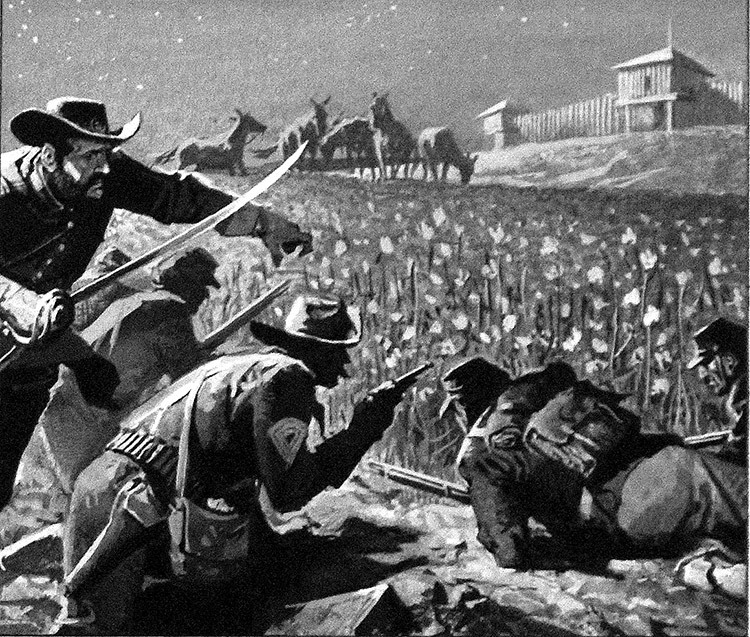 This is the original artwork by Severino Baraldi depicting a skirmish at Fort Phil Kearny between the U.S. Cavalry and the Sioux Indians led by Chief Red Cloud. Captain Fetterman disobeyed a direct command and in pursuing Sioux who had attacked a wagon train led his 80 men over Lodge Trail Ridge where they were ambushed by 2,000 Sioux and Cheyenne Warriors. There were no survivors.